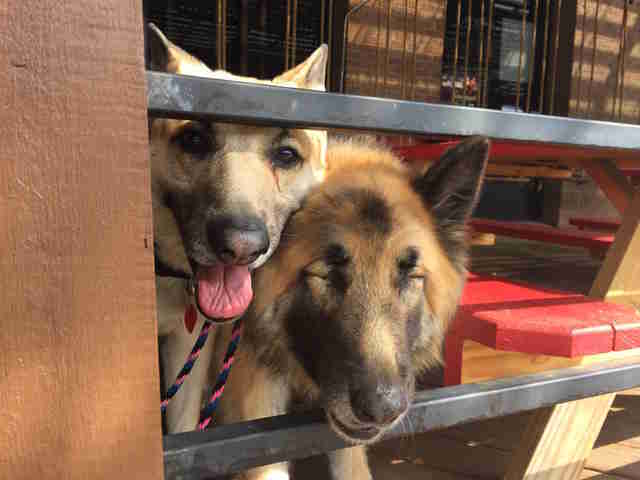 Bart and Babs were found roaming the streets together last year and were taken in by Dallas Animal Services. 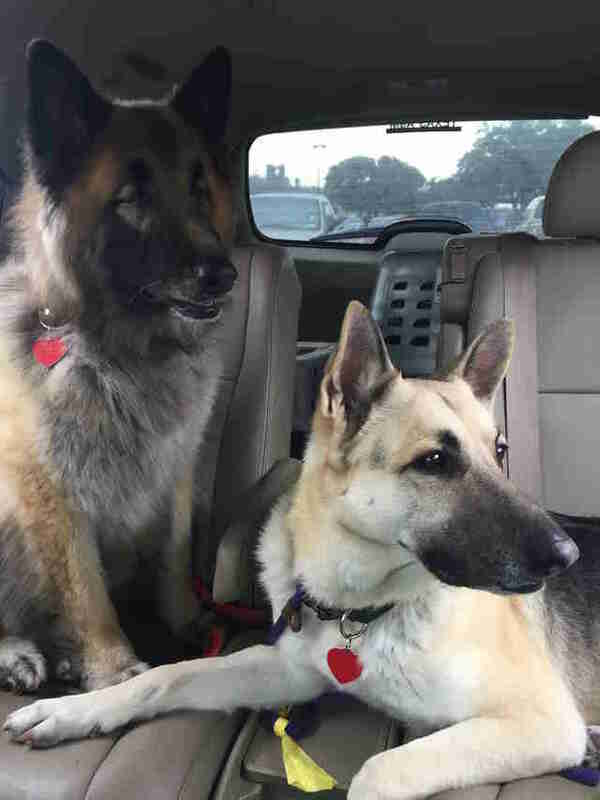 When the shelter realized that Babs was basically blind and needed significant care for her eyes, DFW Rescue Me stepped up to take both of the German shepherds — and didn’t realize until later how important their decision to take both dogs was. As soon as Babs was in the care of the rescue, staffers took her to see a specialist, who determined that she had very advanced glaucoma in her eyes, causing her significant pain. They decided that the best course of action would be to remove her eyes altogether. Once she had recovered, she was placed in a foster home, but not the same one as her friend Bart. Babs suddenly became nervous and reserved, and at first, no one could figure out why. 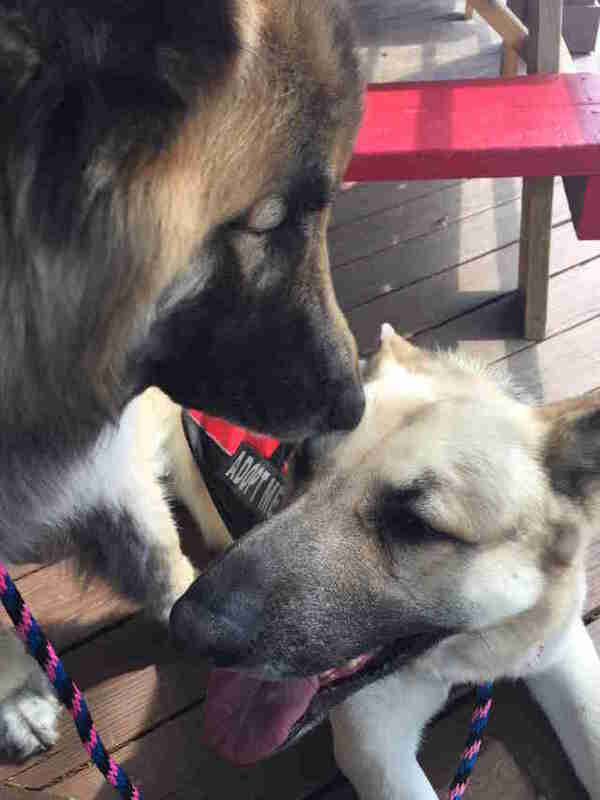 The rescue had no idea at that point just how bonded the pair was — until Babs decided to let them know. Once Babs and Bart were finally together again, Babs came out of her shell completely. She was suddenly confident and playful, and adapted to new environments incredibly quickly, as if she wasn’t blind at all. Now, as long as Bart is by her side, there isn’t anything that Babs can’t do. Babs has a lot of energy, and loves to play with squeaky toys and chase tennis balls around. 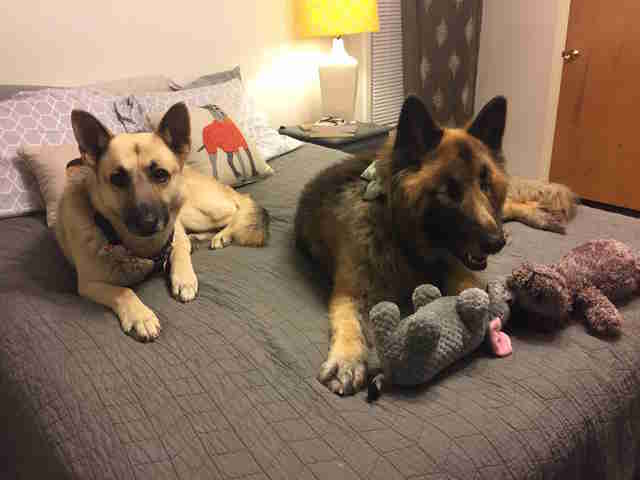 Her best friend Bart is a little more subdued, and is happiest when he’s snuggled up under his foster mom’s desk or supervising in the kitchen. He is extremely protective of Babs and always has an eye on her wherever she is, just to make sure that she’s always OK.
Because of how protective Bart is of Babs, the pair would do best as the only pets in their future forever family. 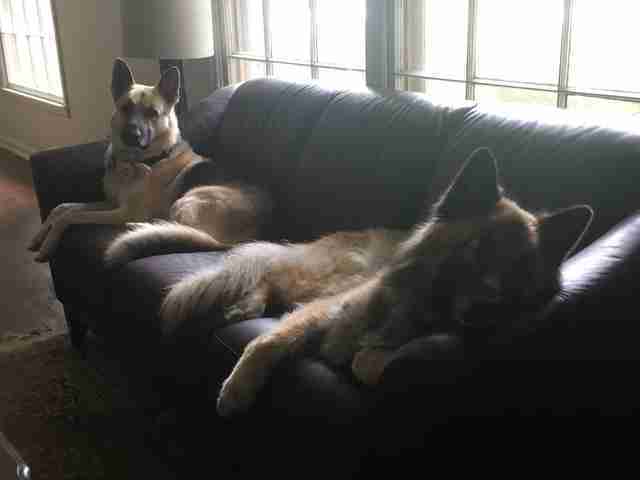 Otherwise, the pair really just need a family to love and accept them for who they are. Their ideal day would be taking a long walk, going for a car ride to get Puppuccinos and snuggling up somewhere with a family who loves them. 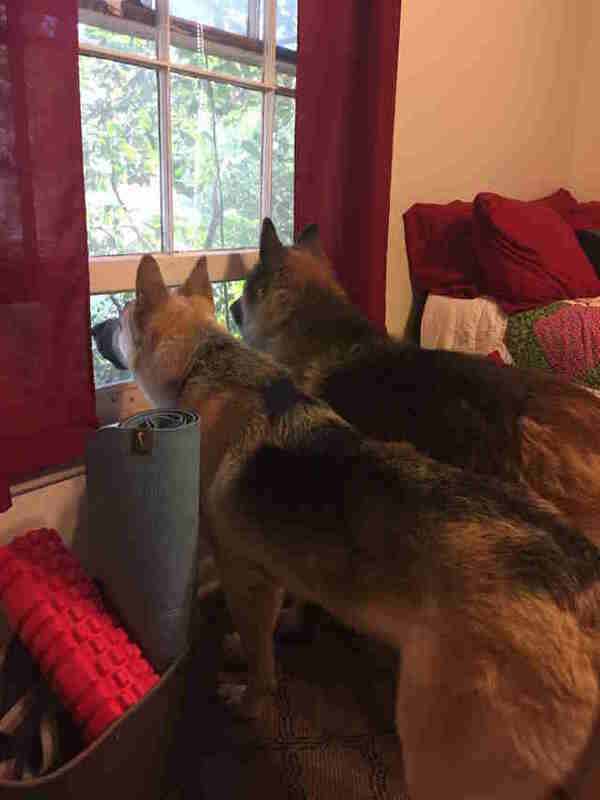 The pair has been with the rescue for about a year now, and everyone hopes that their forever family will find them very, very soon. 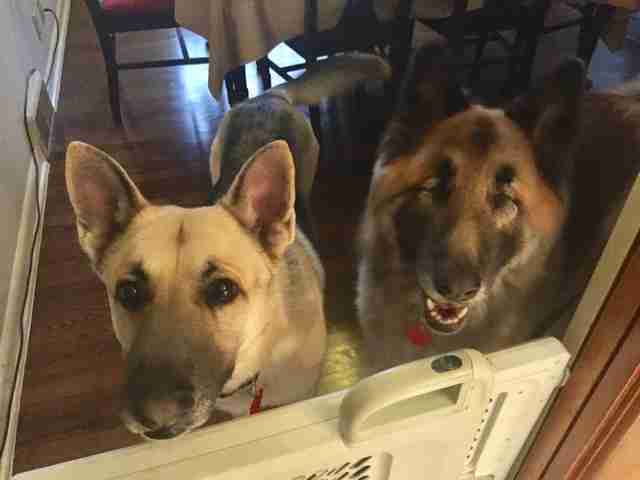 “They are both amazing dogs with wonderful manners and are a joy to foster,” Cherry said. If you’re interested in adopting Bart and Babs, you can contact DFW Rescue Me for more information.